1000 GFLOPS and have 3 GB RAM. 3D cameras use active lighting to detect your target objects. To minimize direct reflections from the background and reduce potential artifacts, it is recommended that you mount your camera at a slight angle to get the best results. You can test different positions in Zivid Studio. 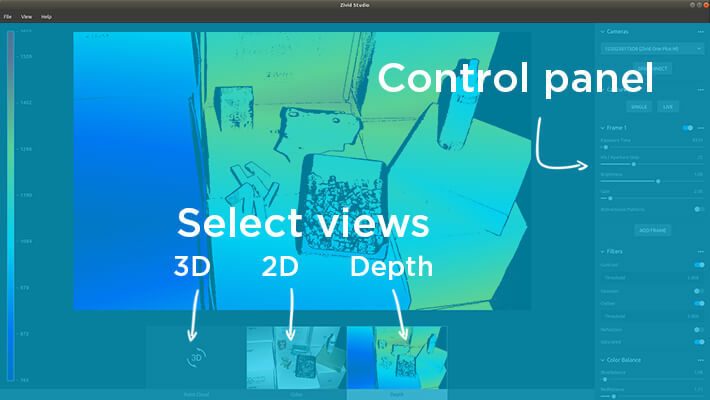 Zivid Studio provides an intuitive graphical user interface (GUI) so you can explore the functionality and capture high-definition 3D point clouds. See the Zivid Studio User Guide for tutorials. Choose the 3D camera you want to connect to in the drop down menu. Click "Connect" or "Disconnect" when you want to connect/disconnect. 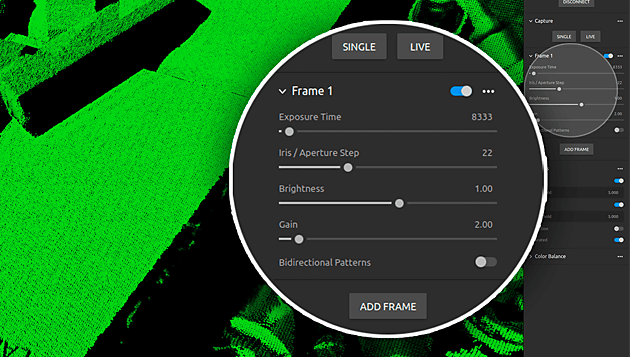 Capture a "Single" or multiple ("HDR") frames based on the "Frames" settings. 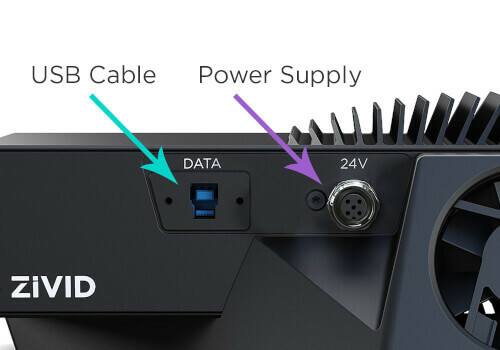 "HDR" is used when multiple frame settings are selected. "Live": Use this mode to quickly position and make initial adjustments. Exposure Time: A higher value will let more light into the camera. Iris / Aperture Step: A higher value will let more light into the camera. Gain: Increased gain can be used for darker scenes to get better data. Check out the complete Zivid Studio User Guide to learn about experts settings, and tips and tricks for capturing 3D point clouds. Contains in-depth information and examples on how to capture 3D images. Contains sample programs and examples settings.